As part of our commitment to provide the best possible education for the kids attending our solar powered school, we provide a meal for every student at the start of class: A full stomach is one of the most important components of a good education. Most of the food comes from our edible school yard and is prepared by the wonderful Mary. See below for more pictures of lunchtime. 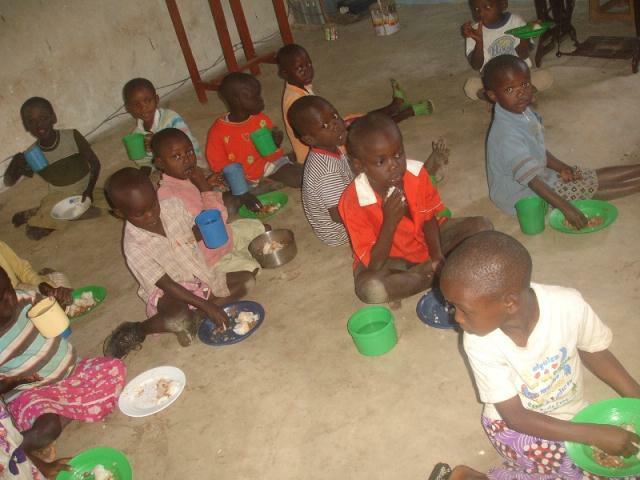 If you wish to sponsor one of the children at our school, then please click here.